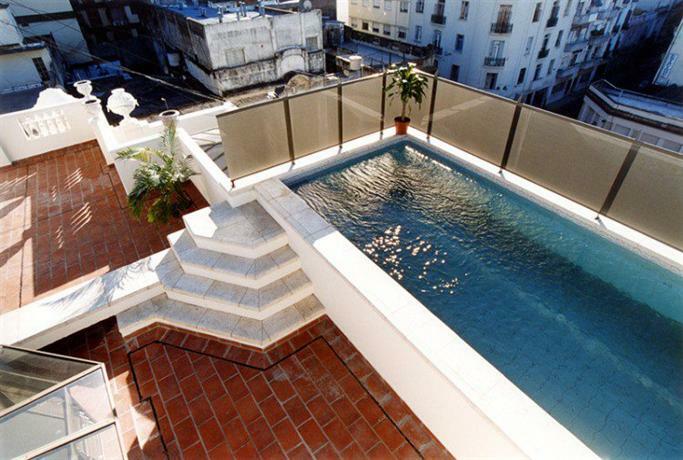 Located on the 5th floor of the Hotel Mansion Dandi Royal the rooftop infinity pool overs scenic views of the Buenos Aires city streets below. The outdoor pool features a brick pool deck, sun loungers, shade planters, and a pool side hot tub. The pool is seasonal, open during the summer only.